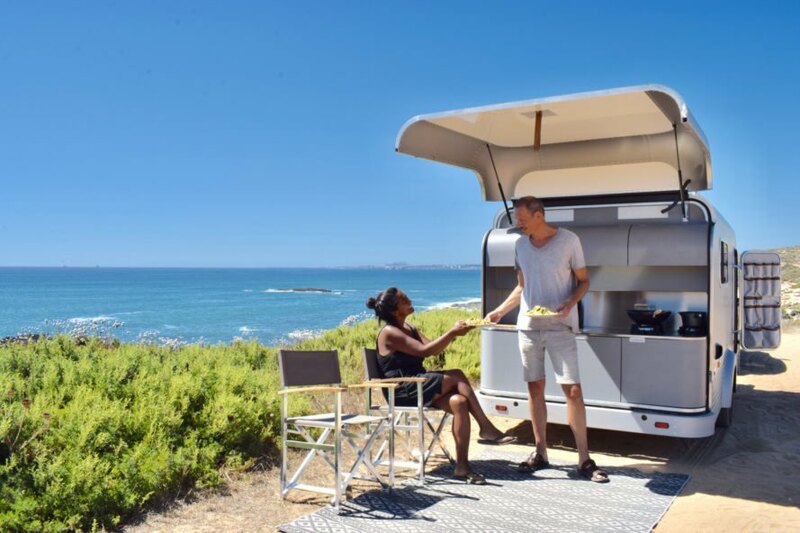 Just when you thought campers couldn’t offer any more incredible features, along comes Lume Traveler, an inconspicuous aluminum trailer with a simple 6-foot-long retractable roof that lets you gaze at the sky while lying in bed. It’s the icing on the cake for a camper that already offers many modern amenities, including an outdoor kitchen and solar panels. 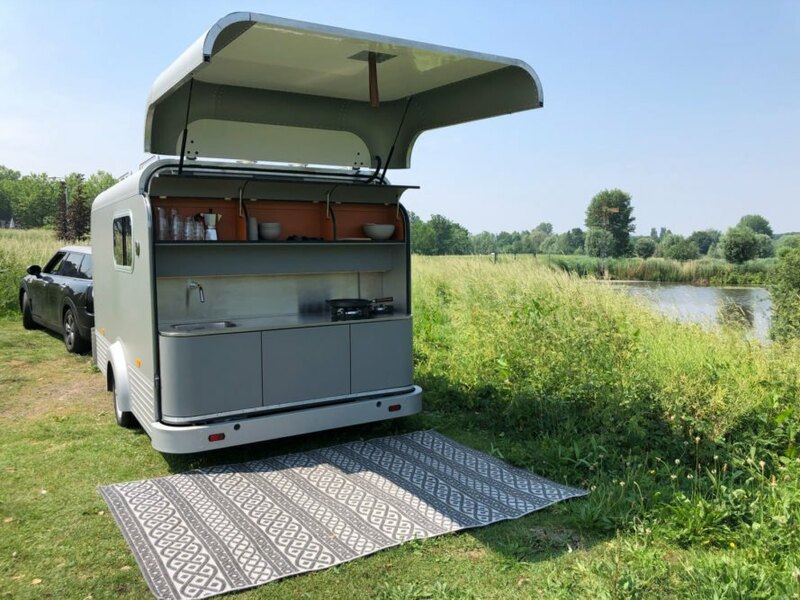 Imagine lying on your back in a comfy double bed and simply retracting a 6-foot by 3.6-foot fabric panel that covers most of the camper’s roof, revealing a sweeping view of the sky, day or night. Gaze at constellations, count falling stars or soak up some rays as you get lost in the reverberating orchestra of nature’s sounds. It even has a built-in screen to keep out bugs and other unwanted creatures. When you’re ready to come down to earth, Lume Traveler is just as comfortable and stimulating. The enhanced interior boasts a leather wall, teak floors and a place specially designed to house an optional audio system and 32-inch flat screen TV. Upscale trims include oak, linen, convenient roll-up curtains and gray wool felt wall coverings that repel dirt. Cooking al fresco is another feature that adds an adventurous aspect to Lume Traveler’s charm. Just open the trailer’s rear hatch to reveal two gas burners perched atop a stainless steel counter. For larger meals, fire up the grill with the extra gas connection. Under the kitchen counter is a 40-liter fridge that slides out for easy access. Meal preparation is a snap with a sink and cutting board combo, and there is ample lower and upper cabinet space for dishes, pots, pans and dry goods. All indoor power is generated by a 100-watt solar panel. All in all, the Lume Traveler combines the joy of the great outdoors, the security of a sound shelter and the basic amenities of home. 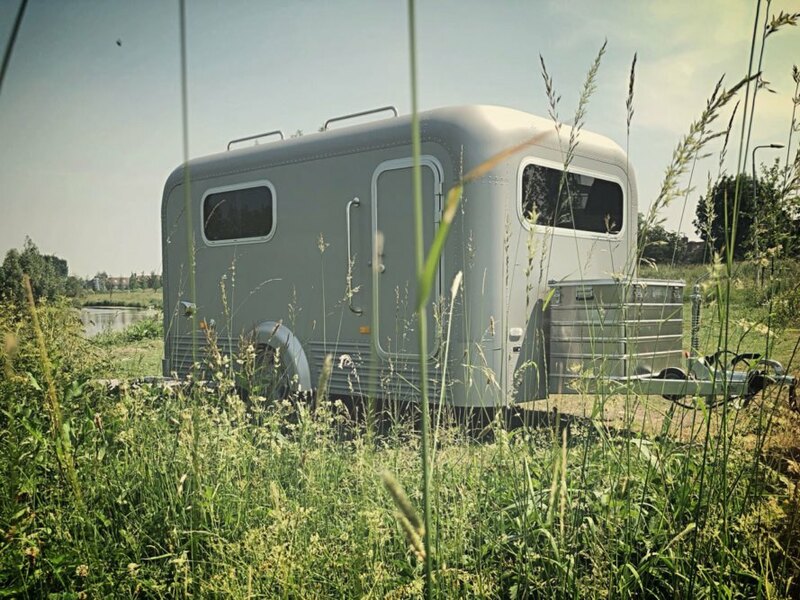 This innovative trailer is a development inspired by campers who long to convene with nature while still enjoying some modern conveniences. Lume Traveler is large enough for comfort but small enough for remote parking. 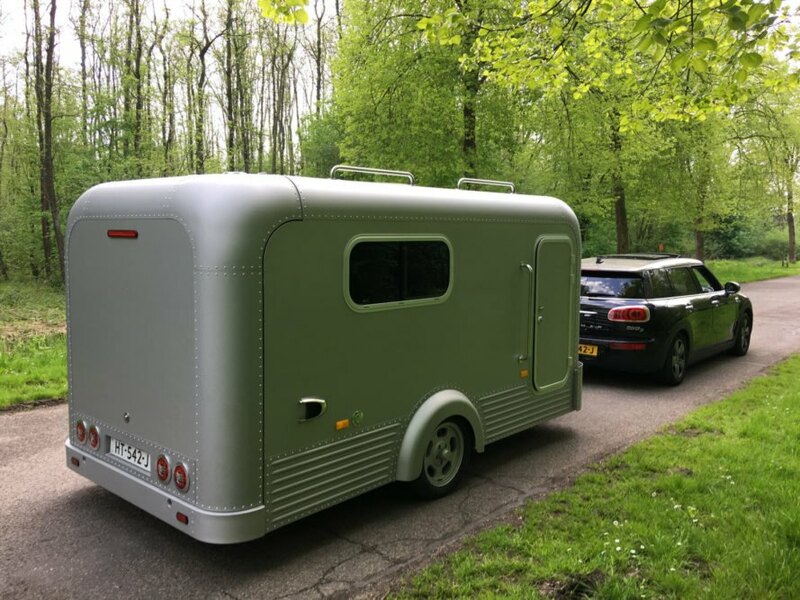 The camper is lightweight and easy to travel with. A retractable roof makes it easy to enjoy nature while lying in bed. Relax on a different lawn every day. 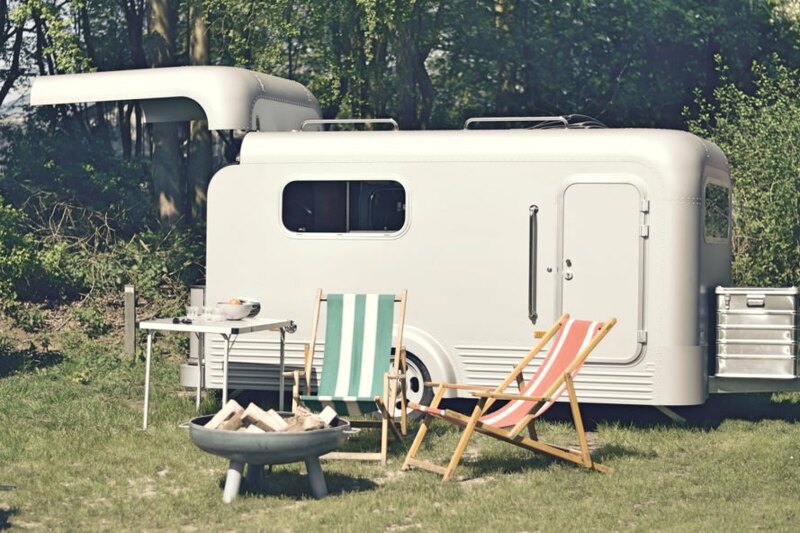 The camper is designed for nature-lovers who also appreciate the convenience of modern amenities. Outdoor dining makes food taste better. A quick flip of the back panel, and you're ready to cook. Small windows provide ventilation while protecting privacy.